← “I’m sending My Novel Out to Query.” Are you sure you want to do that? This entry was posted in Senseless Ranting and tagged Amazon, Amazon.com, Book, E-book, ebook, Goodreads, Publishing, Shopping, what's a good price for an ebook. Bookmark the permalink. I’ve read that the best price for an ebook is $3.99, so your point should be taken seriously. I would say that it makes sense for publishers to have ebooks expensive when a book is first released in all formats. But after that I think when the book comes out in paperback, the price of the e version should come right down in price – or even be considerably less than the paperback. Yeah, I have that book I want bookmarked to see what happens. The paperback has gone down, but not the ebook yet. I would ask if you consider the effort that goes into writing an e-book to be less than that of a paper book. For myself, I usually don’t know if my book will appear in paper or electronic format. My publisher makes that decision for her own reasons having to do with her business. I don’t plan anything around the pricing. I just write my book. However, I have to point out that the publisher’s salary, rent, utilities, etc. don’t go down because the book is electronic vs. paper. If it’s nonfiction, the rigor of research is no more or less. The cover art and layouts are no more or less. Therefore I suggest the price should be the same regardless of format, and I do feel prices at $.99, $1.99, etc. are unrealistically low. Perhaps it’s different for self-published authors who are making all those decisions. They do what’s best for their career and their business. But if you’re brave enough to self-publish, you should not be afraid to ask a fair price for your hard work. I think $4.99 is the max the list price of an ebook should be. And publishers should bear in mind that just because the Amazon.com price shows $4.99, customers outside of America pay more. I live in Ireland and for me there is no such thing as purchasing a $0.99 book. Tax is added on so international customers always pay more, something I think authors and publishers either forget about or don’t realise. Well, although I adore free and .99 priced books, I tend to shy away from them unless I know the author and it’s a special promotion precisely because so many cheap books are horrible. I have paid over $10 for an e-book because I wanted to read the book and didnt want to drive to the bookstore. As a reader, I tend to agree with the fact that regardless of medium, you are paying for the work, not for the physical or non-physical qualities of the book so yes, paying more for a quality book is something I will do. 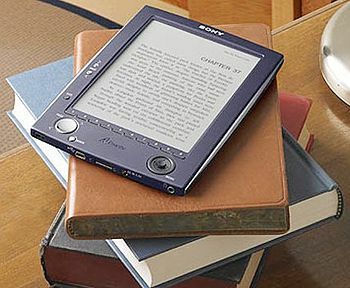 In some cases, the e-book can be more expensive than the paperback (and not just from Marketplace or second-hand books). In that case, if it’s a book I must have, I do tend to order it as a copy I can hold in my hands properly and lend or give to others, even if it takes longer to get delivered. Plus, I have to admit, I too start to cringe if an e-book is more than £5.99 (I buy off the UK site), which is a standard paperback price. I will often give up on that book and check back at some point to see if it’s on sale. I have often seen situations where the e-book is more expensive than the paperback (and not just from Amazon marketplace or second-hand books). I still feel, like you, that at least I’m getting something tangible, that I can hold in my hands, so I often opt for the paper version if I must have that book (even if it takes longer to get delivered). I’m a little twitter and bisted on this subject … When my publisher first put my book on the market (as an ebook) it was a third more expensive than it’s listed now. As far as I’m concerned, that was a rip-off. Unfortunately I had no control over such things. Which, among many other reasons, is why I’ll be going indie next time. – end of bitter and twisted bit. … I think it was smashwords a while ago who did a great breakdown on the perfect price point (at that moment) as I recall it was between $1.99 and $4.99, with $2.99 being the sweet spot. My top limit, with a few exceptions, is $4.99. I understand your son and the $14 book, but sooner or later that sort of price will come down to a market average … unless you’re GRRM or JK Rowling and you can do pretty much what-the-hell-you-please … but even then, unless they keep producing I suspect their prices will drop as well. I’m only starting to buy ebooks, and I definitely compare the ebook price to the paperback or hardcover. As a publisher, it’s great to hear this conversation, because I’m in charge of our ebook pricing. I’ve currently settled on $4.99, because I have a generous royalty package and need to make back what I spend on creating the files after I subtract the author payments. I would say $4.99 is fine, but if I pay $4.99 I expect it to be really good. I can cut a little slack to a $.99 author because I only spent a buck. But the higher the price, the higher my expectations are of the author’s skill. That’s sort of why we settled at $4.99. We publish literary fiction, two or three books a year, and use local artist to provide interior art (which we include in our ebooks), and I use multiple editors, artists, and designers to make sure everything’s lovely. I wanted a professional price point, since we are a big team, but I wouldn’t want to go higher because I don’t want to turn readers away. I think that you are in the right place. You will also get those better benefits from Amazon at that price point. If you are putting out quality, your readers will know that and not hesitate to pick up another book from you. I’ve been doing some research on this, and a number of people have said writers sell themselves short with 99-cent e-books. Unless it’s just a short story or very short book, all the hard work you put into creating it is worth more than just 99 cents. Depending upon how long the book is, I can see $4.99 and up to perhaps $7.99. I’ve also heard the criticism that some people have started to associate 99-cent e-books with shoddy quality, no matter how well-written they might be, since so many other cheap e-books have been amateurish, badly-proofread, etc. As a consumer and a person with limited income, I have to purchase books that are on the low end of the price range. Every day I search for freebies on both B&N and Amazon. I did purchase an e-book for my Nook that cost $7.99 but I loved the author, it was the final book in the series and it wasn’t available at the library so I bit the bullet, but I cringed at paying that much. I think for me part of the deal is convenience, and whether the consumer has totally converted to reading digital. My daughter has gotten so attached to her Nook, that she no longer really wants to buy books. She loves having all her favorite books all in one handy little device, so for someone like her, she’s not looking at wanting to buy e-books because they’re cheaper. She’d probably buy the e-book over the book even if they were priced the same. As authors I think it’s encouraging if e-books start going up in price. It may be a sign that the market is confident that enough readers have gotten so comfortable with digital, they don’t have to have a bare bones price to get someone to buy an e-book. I’d agree that if amazon would not have driven prices so low we’d think differently. I remember when ebooks first started to appear and you paid a slightly lower price then print, but it was about convience. Now I cringe at anything above $4.99 unless it’s an author I adore. I am less willing to try anyone new when the price is too high. You bet your bottom that I will look elsewhere if you ask $9.99 for an ebook. As a consumer, 2.99-4.99 looks good, but I like sales too. Sales might make someone more apt to buy.